The installation of the new carpet on the third floor will begin on Monday August 18th. We may need to close the floor during the install. We have been busy over the last few days with the final preparations, painting, removal of bookshelves, adding power outlets in the floor, and removal of the old reference desk. The new furniture is all on order and will be coming in over the next several weeks. 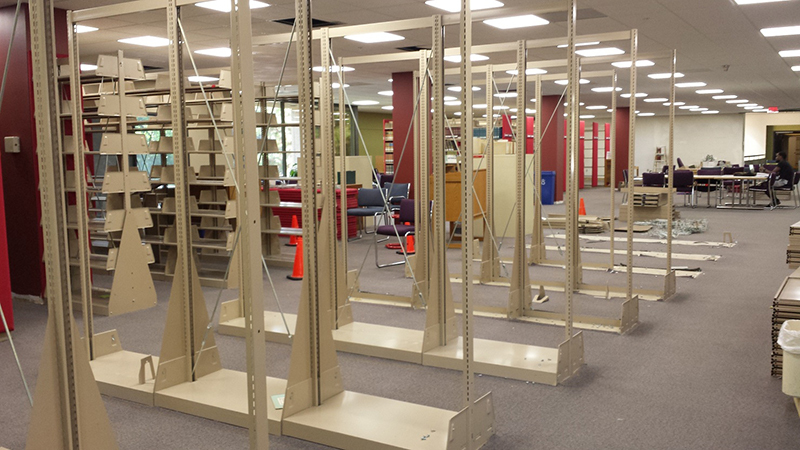 We appreciate your patience as we upgrade the study space for you.